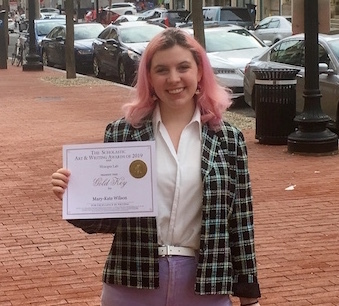 Junior MK Wilson won several Writopia Lab awards presented by Scholastic. She won three Gold Key Awards and two Silver Key Awards for poetry and journalism. MK is the editor in chief of the school newspaper for the second year in a row.